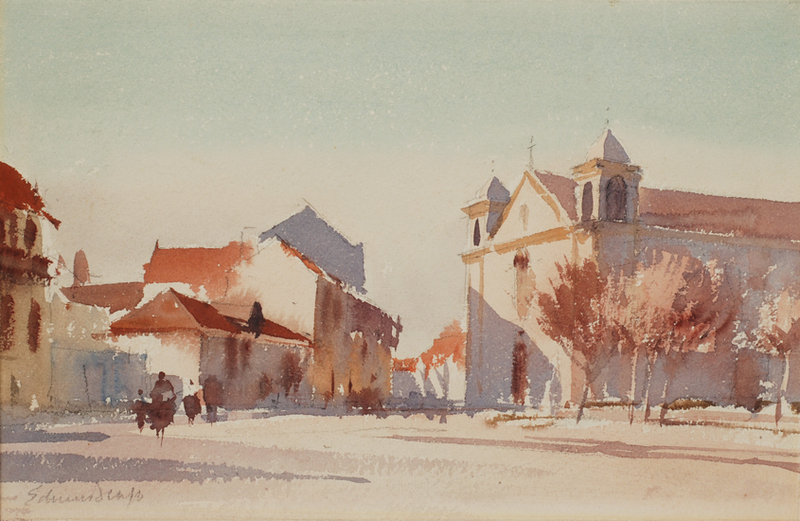 Edward Seago was born March 31,1910 in Norwich and attended Norwich School. 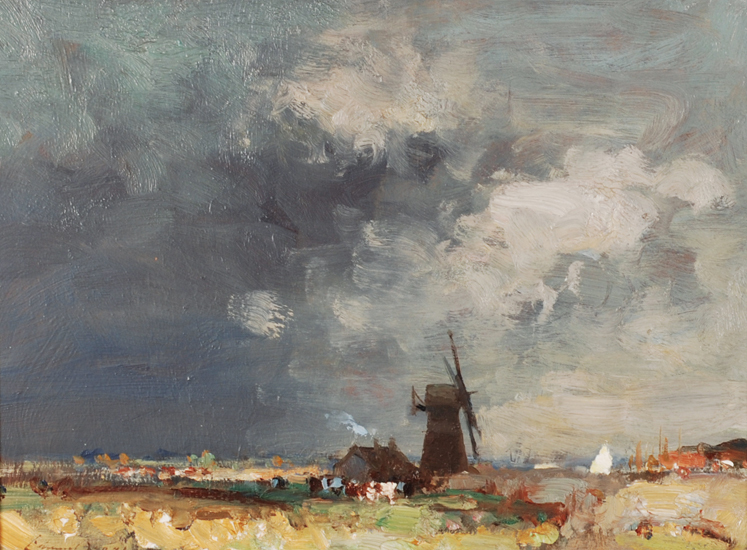 Seago was a self taught artist (although he received advice from Sir Alfred Munnings and Bernard Priestman) At fourteen, he won an award from the Royal Drawing Society, and from then on knew what he wanted to do in spite of his parents’ initial disapproval. He was a painter of landscapes, marines and flowers in an Impressionist style. He successfully exhibited his paintings in London, Glasgow, New York, Toronto, Montreal, Los Angeles, Oslo and Brussels. He has a wide range of admirers from the British Royal family and the Aga Khan to the common man. He showed his first personal exhibition in London in 1944, and two years later presented paintings giving a narrative history of the Italian war. In 1957, still in London at Saint James Palace, Seago presented canvases he had realised during the world tour of the Duke of Edinburgh. Prince Philip invited him on a tour of the Antarctic in 1956, and his subsequent paintings, considered to be among his best, hang at Balmoral.” In 1968 Seago acquired ‘Ca Conca’, a villa apartment in the elegant yachting resort of Porto Cervo on the Costa Smeralda, Sardinia. The terrace offered fine views of the harbor to the right. 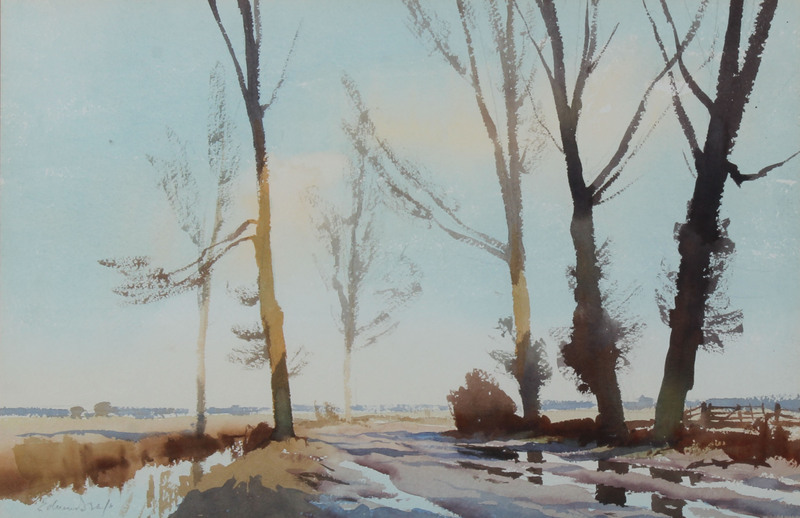 Edward Seago was a member of the Royal Society of British Artists from 1946, and of the Royal Watercolours Society from 1959. Essential to a landscape artist, he remained faithful to an impressionistic atmosphere, attempting to capture the rapid touches from the shimmering of light, made to sometimes bathe together in a blur like that of Turner. 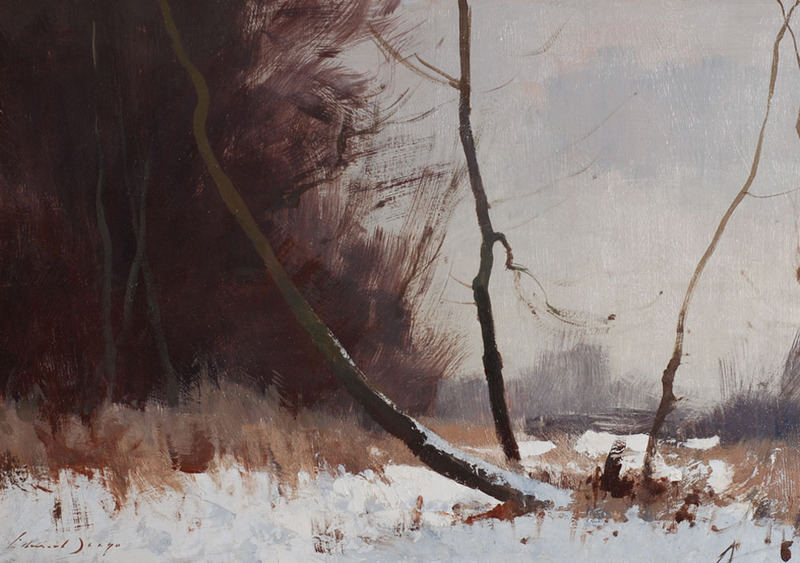 He liked to translate English landscapes in particular like those of Norfolk, but also painted much from abroad.